By Bill Adair on Tuesday, August 5th, 2008 at 3:18 p.m. 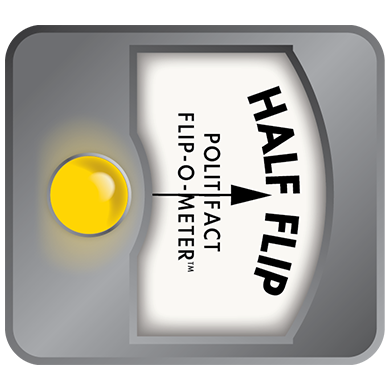 If you look at the Truth-O-Meter rulings we've published on PolitiFact (more than 500 since we launched the site a year ago), you'll see the same phrase keeps popping up: flip-flop. Barack Obama was accused of flip-flopping on public financing, warrantless wiretaps and offshore drilling. John McCain supposedly flip-flopped on drilling and the Bush tax cuts. During the primary campaign, flipping charges were leveled against Hillary Clinton (torture policy), Bill Richardson (Iraq) and Mitt Romney (abortion). We checked those accusations at the time and rated them on our trusty Truth-O-Meter. But after checking so many flip-flop allegations, especially lately, we realized they have become a major part of the campaign discourse. 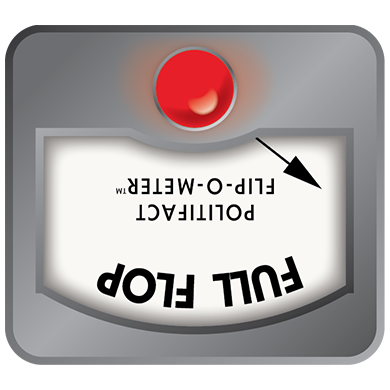 We decided that PolitiFact needed a new device to tell readers when a candidate had truly flipped. Like our Truth-O-Meter, the Flip-O-Meter begins with good journalism. When a candidate is accused of flipping, reporters and researchers from the St. Petersburg Times and Congressional Quarterly examine the candidates' statements and voting records. Have they hedged their words over time? Shifted their tone? Changed their voting patterns? No Flip No substantial change of position. The candidate has been consistent. Half Flip A partial change of position or inconsistent statements. Full Flop A major reversal of position; a complete flip-flop. We are not making a value judgment about flip-flopping. Some people say it shows inconsistent principles and lack of backbone. Others say it's just pragmatism and willingness to compromise. As we did with the Truth-O-Meter, our goal with the Flip-O-Meter is to provide you with a helpful tool so you can make a more informed decision when you vote. — John McCain, Monday, August 4th, 2008. On public financing of his campaign. — Barack Obama, Monday, August 4th, 2008.